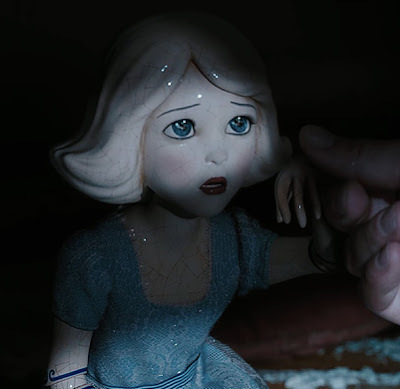 Yes, there are porcelain people in our future, folks. Oz: The Great and Powerful is due in theaters on March 8, 2013. By pure coincidence, I obtained a book a few days ago, opened it, and saw these remarkable endpapers above. 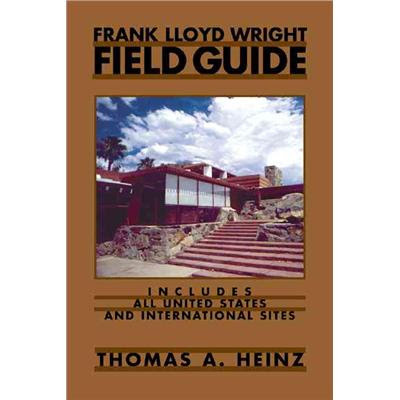 The book's name is Frank Lloyd Wright Field Guide by Thomas A. Heinz. It was published in 2005 by Northwestern University Press, Evanston, Illinois. The homes and buildings designed by Frank Lloyd Wright (FLW) appear to create a synchromystic goldmine of material to examine. 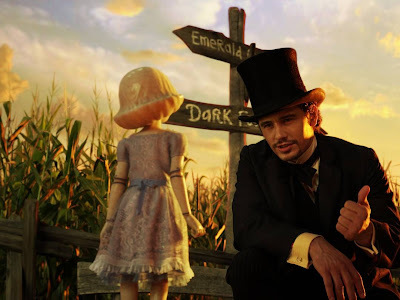 Some of it has been explored here at Twilight Language (see below). In my posting on the Fortean Society and Forteans, I mention that Frank Lloyd Wright was an early member of the Fortean Society. As demonstrated by where these endpapers lead us, as well as his associates in the Fortean Society, the people linked to Frank Lloyd Wright certainly points right down the "road of yellow bricks." The Chauncey L. Williams House is located at 530 Edgewood Place, River Forest, Illinois. 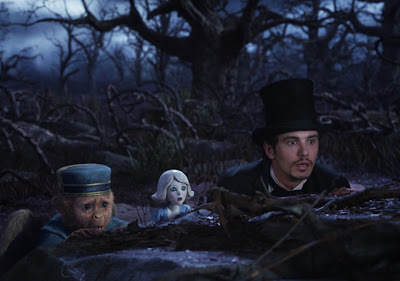 I have no great confidence that the Disney people will have aimed any higher than "adventure story with steampunk touches" -- but if they've mined Baum deeply enough to include the porcelain people, one never knows. ~ Cory Panshin. 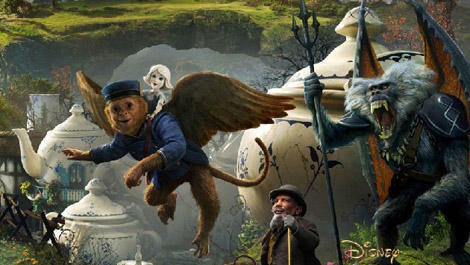 The new film does have a porcelain person. Oz: The Great and Powerful appears to be a film that will contain some powerful synchrocinematic imagery. Find your way to the Land of Oz, here. Can you tell what's in the center of the "O" of the photo where he's extending out his hand? Looks like a dark face lurking in the shadows. 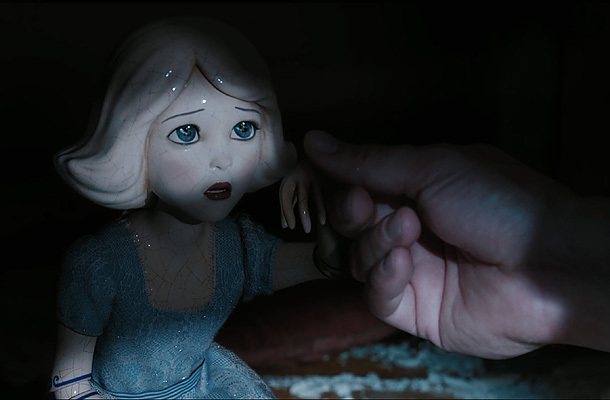 but I had forgotten about her porcelain looking white Queen from "Alice in Wonderland"
Thanks for the reminder Loren. The red/gold pattern reminds me of the "red room rug" from Twin Peaks, another voyage to the center of the subconscious. 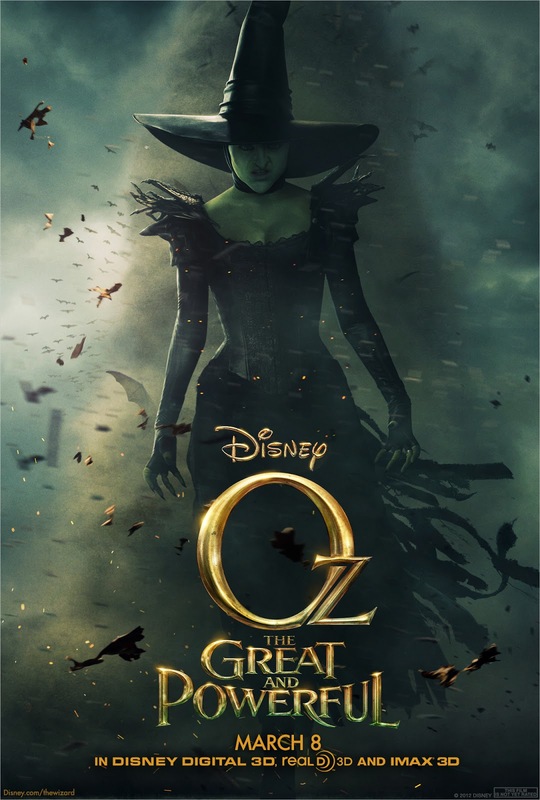 OZ in Hebrew means 'a goat' but also 'strong , 'mighty' which are synonyms of 'great' and 'powerful' [ written on the poster]. "Dis-ney" means dead-knee or chaos-patronage (ney). 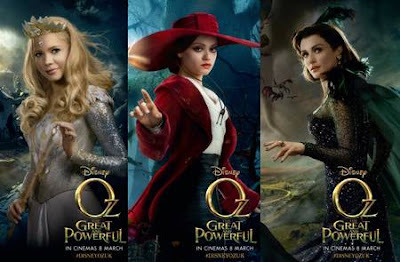 Disney is the beastilization of the female as toys. The dot of the I. The Great External King is en utero .. at this very moment. 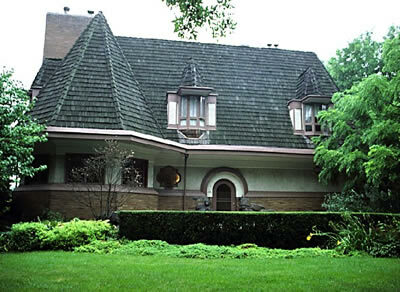 The Griffins, Walter Burley and Marion Mahony, had both spent considerable time working for Frank Lloyd Wright in Chicago. Marion worked for him for 14 years and Walter for five. Walter Burley Griffin was influenced by the City Beautiful and Garden City movements which influenced town planning during the late 19th and early 20th centuries and was also influenced by Frank Lloyd Wright's work, particularly in the development of the Prairie style, which included not just the design of a house, but the interiors as well, including stained glass, fabrics, carpet and other accessories. The influence of the City Beautiful and Garden City movements is clear in Griffin's plans for Canberra - green bands surrounding areas of settlement, wide boulevards lined with large buildings, formal parks and water features. " What a great post, Mr. Coleman. As an observer of synchromysticism and a writer of same phenomena, I was intrigued by this most recent post. 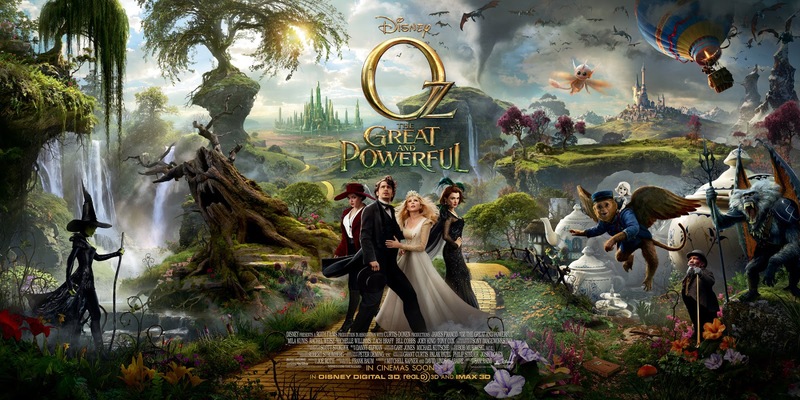 The connections between Oz and FLW are worth noting. And I saw a poster here note the connection between FLW and Walter Burley Griffin and Marion Mahony Griffin. WBG is my great-great uncle and I have read numerous books on him and his work in Canberra Australia. WBG indeed had a falling out with FLW and would go on and win the "design Australia's capital contest" (2013 is the centenary celebration of Canberra). As many may already know, Canberra's design is quite symbolic with links to the Pyramids at Giza and Stonehenge, among others. The Griffins were private people with deep interest in the esoteric and geomancy. Much can be found in "The Secret Plan of Canberra" by Peter Proudfoot. There are other books I could note as well. The Griffins never revealed the true nature of their layout to the politicians and bureaucrats of Australia, as those people considered the Griffin plan impractical. - Andrew W. Griffin / OKC, USA. Yep, Brizdaz, I have been working on an essay about the Griffins, Walter Burley and Marion Mahony, and their links to Frank Lloyd Wright, and to Andrew Griffin, since June 2012. 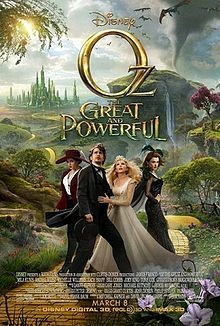 I revisited the Griffins connection to my life in Decatur, Illinois, at Millikin Place, in person, in July 2011. I have been gathering material on that angle for a long time. If my talk in Sydney, Australia next fall comes off, I'm trying to figure out how to make it over to Canberra, the Emerald City!! all my life,but have never made the trip to "The Emerald City". I admit to a fascination with FLR and sync as well. I visited Taliesin West in Phoenix last year, which had all sorts of personal syncs to accompany it. FLW called himself "the world's greatest architect", and perhaps he was, but he was also a bit of a showman and even a fraud, being constantly in arrears - paying off creditors with the advance from the next job. 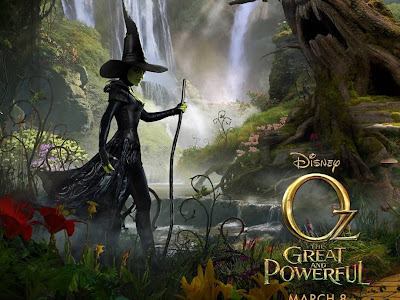 Considering the characterization of the Wizard by L. Frank Baum, one wonders if he didn't base it on FLR. The Masons call God "The Great Architect", and this connection between FLR, the world's greatest architect, And LFB, leads me to speculate on what exactly LFB was saying with this Fortean connection. Well ain't the sync world weird ? 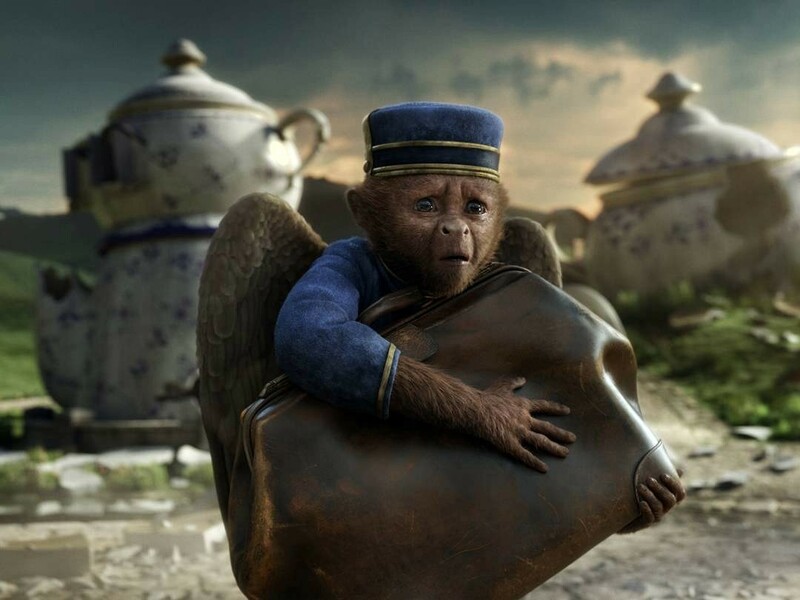 While NZ is not OZ,it is pretty darn close and the home of Peter Jackson of Rings fame. 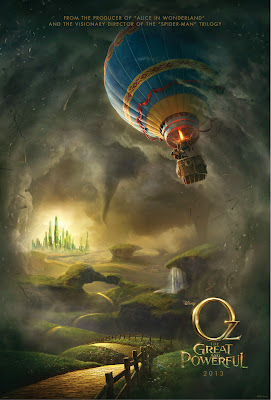 Reading this today, noticed the hot air balloon and there was a hot air balloon crash today. 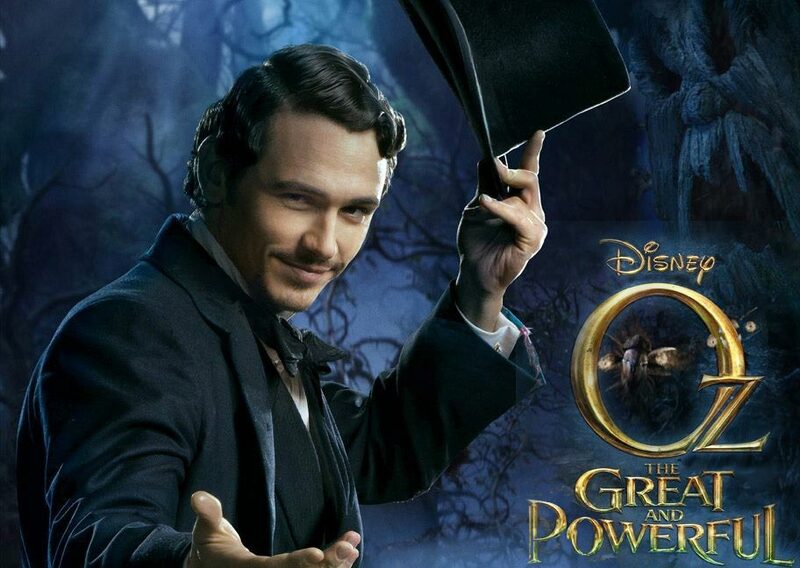 Also, looks like Franco is showing some kind of hand signal where he is holding his hat. Doll imagery is related to mind contol and I see three sixes in those curly vine-like plants. 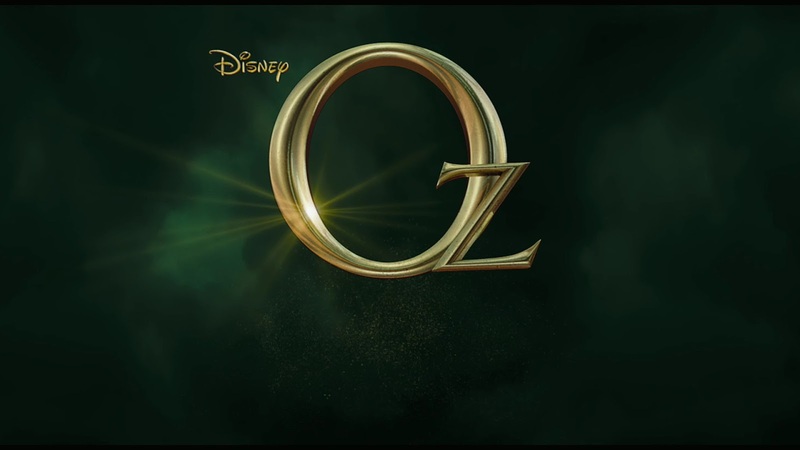 I'm being reminded also of the film Zardoz -- which explicitly references The Wizard of Oz and whose plot in certain ways seems to resonate with this new movie.